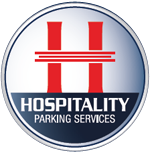 Hospitality Parking Services is a professional, customer-focused, valet parking management company that exclusively services fine hotels and resorts across the United States. With each new relationship, we begin by custom-fitting our services to your business needs. The end result is a successful, cohesive partnership. As you would expect from a company founded by hotel veterans, our training program is designed to produce the most qualified staff to complement the finest establishments.